Dentistry is an important part of healthcare. Dental care, though, is different from medical care. These differences must be reflected in plan design, benefits and legislation so that costly, inappropriate regulation does not result in employers dropping dental benefits. Dental disease is limited in scope in comparison to medical, primarily involving tooth decay and gum disease. Dental disease is generally not acute or life-threatening. Hospitalization is rarely needed, usually only in response to a patient's medical condition. Emergencies are rarely treated in the hospital, except for accidental injuries, which are generally covered under medical plans. Many dental procedures are elective, reflecting equally effective alternatives between more or less expensive treatment options. For example, a crown is optional where a filling would be a satisfactory treatment. General dentists provide 85% of dental care and account for 80% of total dental costs. Just the opposite is true for medical, where secondary and tertiary care are most common, and primary care represents the smallest component and cost. The American Dental Association recognizes only eight specialties with no sub-specialties. The American Medical Association recognizes 150 specialties and sub-specialties. While 82% of dentists are general dentists, less than 15% of physicians are primary care physicians. Over 70% of dentists are in solo practice, compared to less than 10% of physicians. 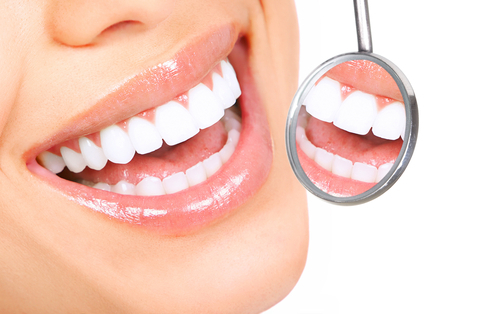 Many dental services may be repeated if a satisfactory result is not achieved. For example, a crown can be redone, while many medical procedures are irreversible. Fewer dental claims are reviewed prospectively or denied for appropriateness for necessity. Professional review is simpler. Dental radiographs provide clear evidence of both treatment and need. HCFA, HEDIS and Milliman and Robertson provide objective, science-based medical standards and measurements. For dental, there are limited parameters of care but no widely accepted measurable benchmarks at present. Consumers report no significant problems with dental benefits. Satisfaction with dental plans is high across the dental product spectrum as reported in studies by the American Dental Association, William Mercer, Inc., and carrier surveys. Dental benefits provide a significant benefit for employees at premiums about 1/10th to 1/15th of medical premiums. Surveys show even modest increases in costs result in employers dropping dental benefits. Approximately 37 million Americans don't have medical coverage. About 150 million don't have dental coverage. Imposing medically-oriented administrative requirements on dental plans to solve problems that don't exist within the dental arena will eventually cause an increase in premiums, resulting in fewer covered individuals.